Dr. Kim is a board-certified dermatologist in greater Boston, MA specializing in cosmetic dermatology, Mohs and laser surgery. She is a graduate of Brown University where she received her Bachelor of Arts Degree, Medical Degree as well as Masters of Medical Science Degree. She completed her medicine internship at Boston’s Beth Israel Deaconess Medical Center followed by a dermatology residency at SUNY Downstate Medical Center where she was Chief Resident. She then completed a Mohs, cosmetic and laser surgery fellowship at the renowned Laser & Skin Surgery Center of New York in Manhattan. Upon completion of her fellowship, Dr. Kim joined the center. In addition to her responsibilities as the research director, she quickly developed a successful, busy clinical practice that focused on cosmetic dermatology, lasers and Mohs surgery. She subsequently relocated from Manhattan to the Boston area and joined SkinCare Physicians. 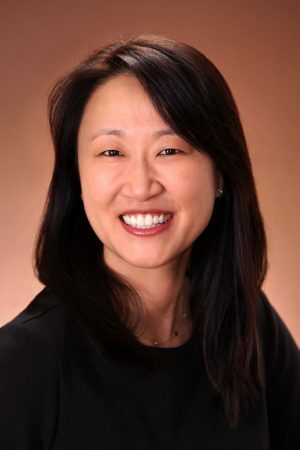 Dr. Kim has been named as a Top Doctor in Boston for 3 years. Dr. Kim has presented at national meetings including the annual meetings of the American Academy of Dermatology, the American Society for Dermatologic Surgery and the American Society for Laser Medicine and Surgery. She has published many articles in peer-reviewed medical journals and has written book chapters on the use of lasers in dermatology and on dermatologic surgery. She has been interviewed on local and national television broadcasting programs including ABC News and Good Morning America and has been quoted in Health, Elle, Women’s Health, the Los Angeles Times, the Wall Street Journal, and In Style. Her clinical practice incorporates the use of cutting-edge technology with minimally invasive techniques. Dr. Kim was involved in the early studies of many innovative procedures that are widely used today including Thermage®, Fraxel®, and laser lipolysis (SmartLipo®). Procedures that she commonly performs include ablative, nonablative and fractional rejuvenation for fine lines and wrinkles, injectable fillers and BOTOX®/Dysport® treatments, skin tightening (Thermage), non-invasive body contouring such as CoolSculpting®, laser treatment for redness and broken blood vessels, fine lines, hyperpigmentation, brown spots, acne scars, leg veins, and tattoo removal. Dr. Kim is a member of the American College of Mohs Surgery, the American Society for Dermatologic Surgery, the American Academy of Dermatology, and the American Society for Laser Medicine and Surgery. Her interests include skin rejuvenation, skin cancer screening and prevention, and skin cancer surgery. To meet with Dr. Kim, request a consultation online or call our office at (617) 731-1600 to schedule your appointment.